To everyone’s delight, Daryl Dixon now has a dog. Some dogs retrieve newspapers but what do they retrieve during the zombie outbreak? Walker body parts, of course! 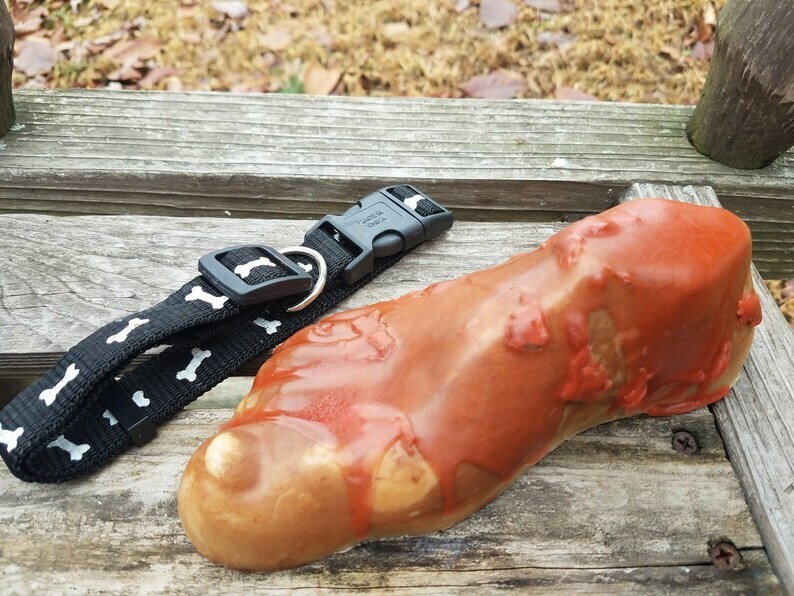 Daryl’s dog was trained by the best, so of course, we owed him a tribute soap. Our Walker foot was just retrieved from the trap and is ready to delight your Walking Dead fan. You’ll receive a Walker foot like no other - dirty, bloody and sitting in a plastic dog bowl. You’ll even find a dog collar included as part of the packaging. We always combine shipping on multiple orders and use flat rate boxes wherever possible.